“Damn this is a tiny package!”… Literally the first words out of my mouth when I opened the box with the Nemo hornet 1. The Nemo Hornet one is probably the smallest tent package I have ever seen or held. The tent literally fits in the palm of my hand. And light, did I mention the Nemo hornet one is light? This of course led to my next thought “there is no way in hell this is a full size one man tent”. I am always suspicious of one man “ultralight-tents” by major producers. They usually prefer to sacrifice size and usability for weight. If you’re looking for the master of ultralight tents, look no further. The Hornet offers the ultimate in livability and comfort. The 2-Person has two doors and two vestibules for two pounds, and the 1-Person weighs in at an ethereal 27 ounces. The single pole construction allows for lightning quick setup, free-standing support, and minimal pole weight. Triangulated volumizing guy-outs increase interior space up to 15%, making your home on the trail even more livable. Hornet’s smart design and fabric set make it the ultimate ultralight experience. While the aforementioned Notch has the livability of a coffin (for me), the Nemo Hornet 1 is surprisingly roomy for even somebody as tall as I am 6’3″ or in a more comprehensable measurement of 190cm on the metric scale. Though, I would say that my height is probably the limit – anyone taller would probably be touching the ends of the tent. With that said, for me it’s more comfortable living space than the Terra nova 1 laser competition. The Nemo hornet may not be the largest one man tent on the market (that honor probably goes to the Tarptent Stratospire 1), but it’s certainly not the smallest. It has about the livability of something like the Terra nova laser one, but with it’s steep sloping walls it actually feels bigger than something like the Terra nova laser and Hilleberg Enan. I remember when I hiked Iceland a few years ago, that was the first time I ran into the Nemo Hornet 1. I don’t remember who I talked to or anything like that. But I remember talking to a guy who had been using the Nemo Hornet 1 for sometime and he was super happy with it. He did mention that in real heavy winds the hornet faulters if the extra guylines are not staked out. I can say that I had pitched my Duomid fairly close to his hornet and that night the winds were howling down the mountain side and my duomid was shaking pretty hard. I got out to re-stake some of the guys and took a look at his tent – it held up. Perhaps not as well as the Duomid but it certainly held it’s own. I am mentioning that experience as I normally don’t pitch in exposed areas so I can’t really give an honest opinion about that on the Nemo Hornet 1. I will say that for everything I have used the tent for, it has held up really well. “But that big gap on the back, it just has to let in a lot of water”.. No, no it doesn’t. That is however something I read about alot online, and found after a lot of research nobody that actually owns the tent that has had that problem. I myself have not had the problem when the tent is properly pitched. So, my conclusion is that with the very tall bathtub floor, I just don’t see how rain would be a serious problem. Back in the early days of my hiking life I used to only want tents that would pitch the inner and outer tents together. I.e the Hilleberg pitch. Don’t get me wrong, in areas where it’s only raining for days and weeks on end it’s probably to be preferred. But these days I do prefer pitching the inner and outer separately as it allows a little more flexibility in setup and tear down. The Nemo hornet 1 is pitched with a separate inner and outer tent – which for me is excellent. I like being able to pitch only the inner if the sun and bugs are out, while being able to separate the outer from the inner on tear down during a wet period is also quite nice. I can keep the outer on the outside of my pack, while keeping my inner tent on the inside of my pack nice and dry. To say the Hornet 1 is easy to pitch is an understatement. It can be pitched in a minute needing only the minimal of brainpower to setup. This tent is in other words idiot proof. Ok, so the Nemo hornet 1 is roomy, light, double walled and relatively cheap. It’s easy to setup, holds up well to most weather conditions and if you don’t use trekking poles is just a damn good solution for most solo hikers in my opinion. Downfalls then? Of course a tent this light means that it’s going to be using much lighter materials that probably won’t hold up to the test of time. My guess is that the Nemo Hornet 1 is good for a few good seasons of relatively easy usage. But, it the wind picks up and really starts to batter the hell out of it, well, all bets are off. I don’t know what the tear strength is of the 15 denier sil-nylon that the Nemo uses, but if I compare it to the other 15 d tents I’ve had, I would say it’s good for a few seasons but not much after that. Of course, most of us buy and sales tents several times over the course of a season.. so.. there is that. Nemo doesn’t pay me to write reviews of their tents, I don’t get these products for free from Nemo. 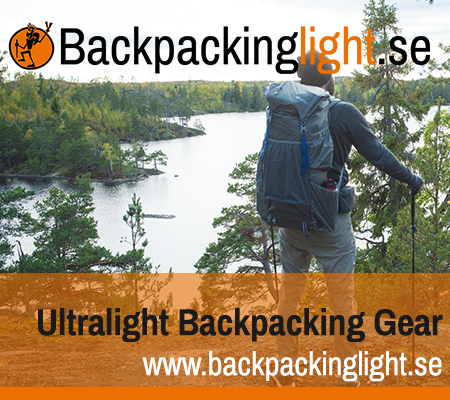 Instead I have a very priviledged position in life in that I run and own a Backpacking gear shop here in Europe called Backpackinglight.se. I have the honor of being able to try and test gear before importing and selling. In other words, if the gear is crap, my shop is not going to sell it. Well done, it has me rethinking my tent now. Thank you. I own this tent, have taken it on two hikes through the French alps, and I can say, from experience, that yes it does let rain in through the fly that is cut too high. With the wind in the right direction during a storm you definitely get wet. I always adjust the fly to the lowest point to try and stop this, doesn’t make much difference. After this trip I will custom sew the fly to try and fix this problem. The other problem for me, is as soon as it rains heavy enough, the lightweight 15d base material becomes saturated and let’s moisture pool up inside the tent floor. Not very nice being wet all the time. Customer service from Nemo is non existent.